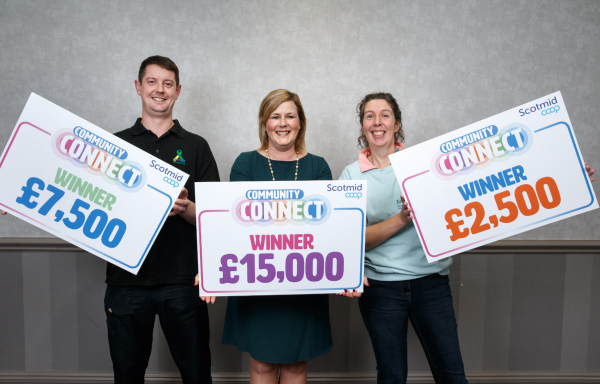 St. Andrew’s Hospice have become the latest big winners from Scotmid Co-operative’s Community Connect initiative – being awarded funding of £15,000 to purchase a new minibus to help transport patients for essential trips. 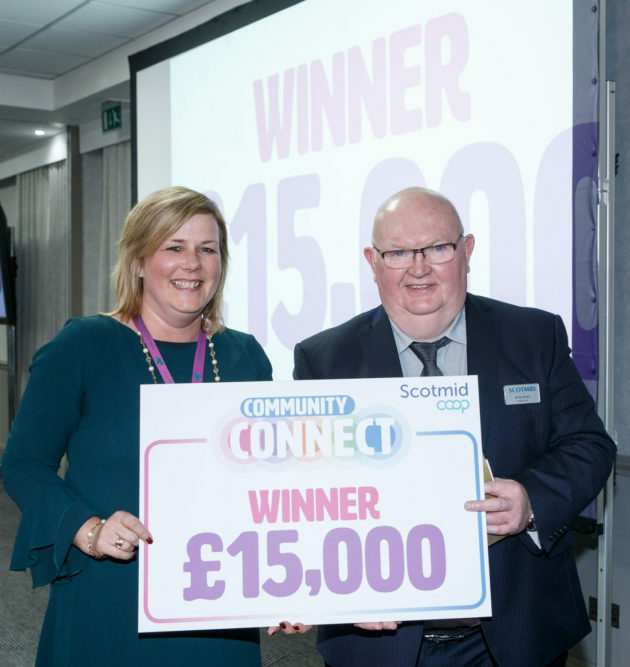 Scotmid launched the initiative last year to help support charities, community projects and good cause groups continue the valuable work they do in communities and previous £15,000 award winners include Glasgow’s Street Connect. The other Community Connect award winners were Lanark mental health charity Esteem Clydesdale, who were awarded £7,500 and Equitots Lanarkshire Community Interest Company, who scooped £2,500. Scotmid members collected votes by swiping their Community Connect card after every in-store purchase and then voted for their preferred good cause group either in their local store or by attending last night’s Ordinary General Meeting in Bellshill (Monday 1 October). A registered charity since 2006, St Andrew’s Hospice provides specialist palliative care to patients with life limiting illnesses in both North and South Lanarkshire. The £15,000 funding will go towards purchasing a new minibus, which enable the hospice to transport patients to their outpatient appointments which include physiotherapy, complimentary therapy, adult bereavement sessions and children’s drop-in services. St Andrew’s Hospice’s Lorna McCafferty said: “Thanks so much to Scotmid and its members for awarding us £15,000 funding through Community Connect – it is an incredible boost to our centre. “We are committed to providing specialist palliative care and making it is as person centred as possible. Scotmid Co-operative Secretary John Dalley said: “Congratulations to St Andrew’s Hospice and all the latest Community Connect award winners. “This was our second Community Connect awards in Scotmid’s West Region – local charities in our area have now benefited from £50,000 funding – so thanks to all our members, who helped to determine the outcome.